In a world that is more understood by people in three dimensions – beauty, comforts, sensuality and material wealth are things that are understood best and also desired the most. And the one planet under whose domain these things fall is Shukra or Venus. 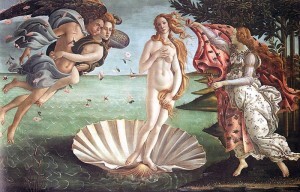 A well placed and powerful Venus in an individual’s birthchart can bestow all worldly pleasures and comforts. 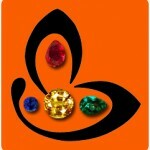 Presenting before you, VAJRA 2012, the new lot of Premium White Sapphires from Sri Lanka. White Sapphire, which is also referred to as safed pukhraj, or naram vajramani is the ideal stone to harness the energies of Shukra or Venus. White Sapphires come as a special boon for women with a well placed Venus for sacred texts prohibit the wearing of diamonds for female individuals. So you no longer have to think about whether wearing a diamond would work for you or not. You have the powerful, rare and beautiful white sapphires to rely on. White sapphires are extremely rare. They are colorless corundum and are found very scarcely. More often than not, corundum gets colored by the trace elements of iron (forming yellow sapphires), or that of titanium (forming blue sapphire), or chromium (forming rubies) or other trace elements that lead to formation of fancy colored sapphires (these are extremely rare too)! 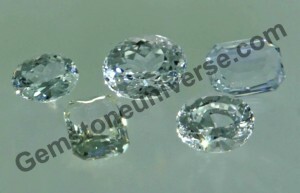 White sapphire is pure corundum. A white sapphire of a fair weight and good clarity commands a premium price in the market. A jyotish quality white sapphire is fully natural and untreated in any manner, has great clarity levels and is free of any doshas mentioned in the sacred texts. Completely saatvik, it can beget an individual complete blessings of Venus. So whether you are seeking material gains, enhancing your charm, fuelling your creativity (if you are an artist or performer) or looking at enhancing the element of luxury and sweetness in your life, then white sapphire is the gem for you. However, we encourage that you have your horoscope analyzed for its favorability before wearing it. these gems are the finest ones , might be with about more than 90% + effficiency so they cost high . and its cost in Indian Market . I would be very Thankfull .